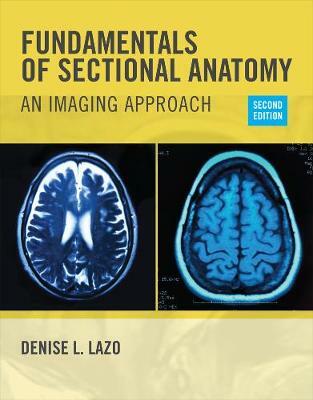 The second edition of Fundamentals of Sectional Anatomy: An Imaging Approach is the ideal introductory text for new radiography students, seasoned students preparing for the CT and MRI exams, or anyone interested in learning about human anatomy. Chapters address the fundamentals of sectional anatomy, starting at the vertex of the skull and descending to the symphysis pubis, with additional in-depth coverage of the vertical column, major joints of the upper and lower extremities, and separate chapters on the facial bones and sinuses. This systematic approach to the organization of the book provides students with the most complete presentation and realistic exposure to sectional anatomy available. Numerous line drawings and two complete sets of fully labeled images complement each section of the text to strengthen the learning experience, while end-of-chapter summaries and review questions challenge readers to assess their understanding of important topics. Building upon its reputation for an uncluttered presentation and clearly labeled images, this new edition presents more than 200 new MR images, dozens of CT images, and new complex illustrations'transporting this already fascinating book into the modern age of radiography.